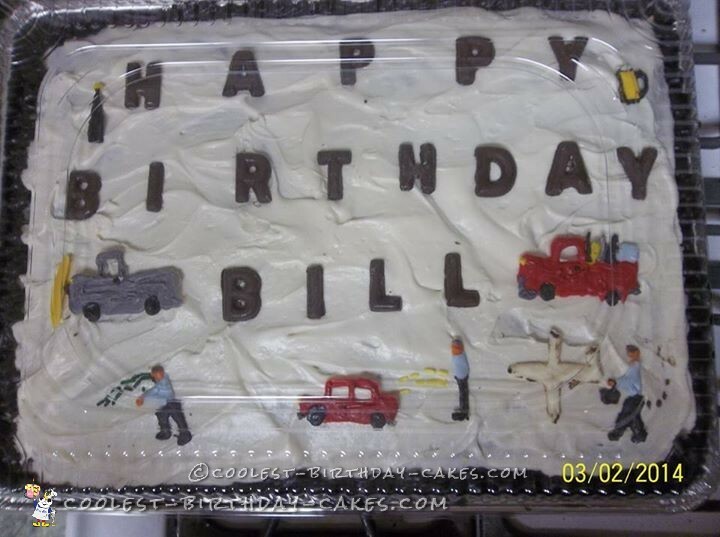 This is a one of a kind 60th birthday cake for a one of a kind guy named Bill. I baked this cake and frosted it but I handmade the decorations out of chocolates because I wouldn’t be able to find them anywhere. They are unique to my next door neighbor Bill and the crazy things he does. 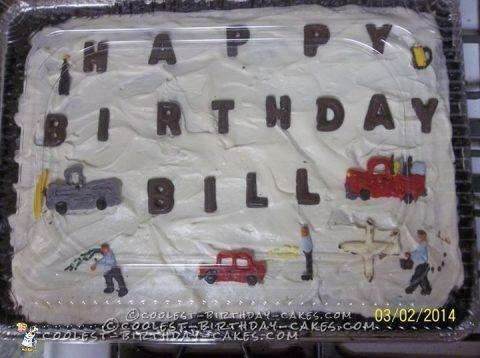 It was Bill’s 60th birthday party cake and he loved it! His wife Laura even put the picture of the cake on his Thank You notes. He farted on a airplane and everyone yelled at him. One 4th of July he was drunk and went over and peed on my friend’s car thinking it was a toilet. Another time he got drunk and was vomiting in the yard. He collects junk in one truck and then has another truck he does plowing with. There’s also a few beers on the cake. So, the cake has all these images on it showing his crazy wild adventures over the past years.